Today has been a day of sorting, and believe it or not headway has been made. 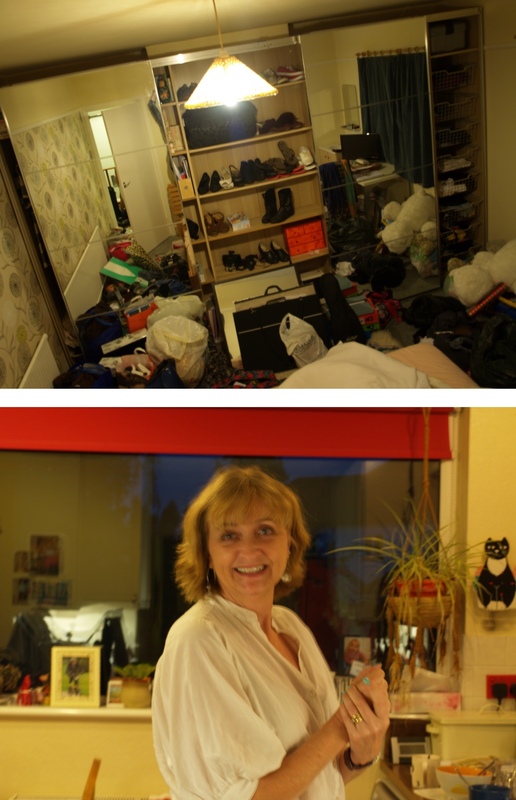 The top photo is of my messy messy room, that by tomorrow evening shall be in a much better state, and the second is of my beautiful mum, I’m loving having her company now I’m home. I bought the full Photoshop App today for my iPad, and can now combine two photos on my iPad, so I’ve eliminated now the use of my laptop for my blog! Huzzah. This means I now have no excuse to not upload on time!